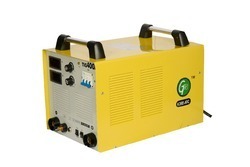 We are the leading firm to provide our valuable clients excellent quality MIG Welding Job Work. We offer services to our clients to cut and joint hard metal sheets and other materials in the required shape. This service is rendered under the guidance of our quality controllers using the excellent tools and modern techniques. Fabricated out of the finest quality raw materials, our range of MIG Welding Job Work, boosts of extraordinary speed, maximum productivity and low maintenance.